How do I copy video and music onto my iPhone from iTunes? Not sure how to put video and music from my iTunes library on my laptop onto my iPhone. Can anyone explain the finer points? Any help is appreciated, thanks! The interface of iTunes is totally new with the update release of iTunes 11, which offers even more options for managing your music, TV shows, movies, apps, and more. You’ll still use iTunes 11 for syncing your iPhone, iPhone 3G, iPhone 3GS, iPhone 4, iPhone 4S, iPhone 5, iPhone 5S/5C and iPhone 6. While the process remains the same, the visuals involved have scored a bit of an overhaul. The Summary and Info tabs get noticeable layout tweaks, and the Apps tab gives the app organization process a small redesign. For users who have not get accustomed to the iTunes 11, here is a guide for syncing videos and music from iTunes 11 to iPhone/iPhone 3G/3GS/4/4S/5/5S/5C/6. At fist, you can set up your iPhone for automatic or manual syncing. 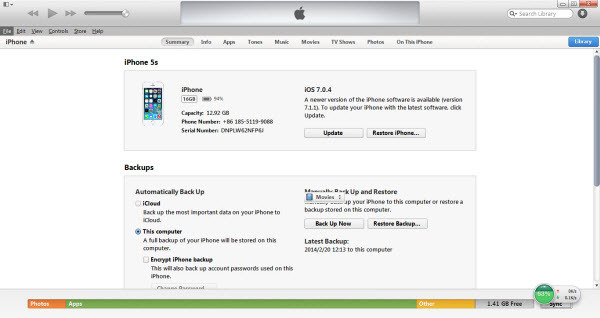 Please change your sync settings any time you connect the iPhone to your computer. 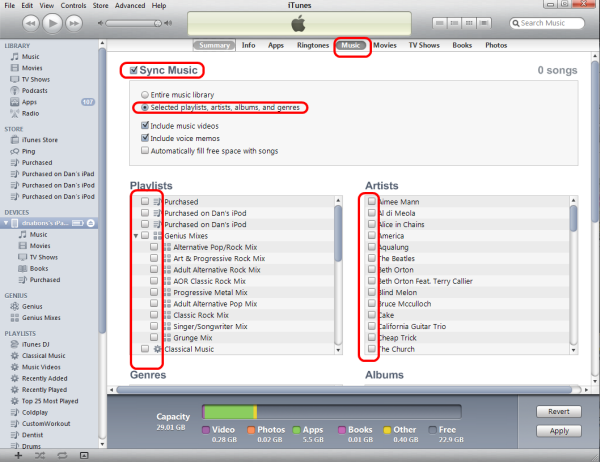 Sync your entire iTunes library or choose specific items to sync. Whenever you connect your iPhone, iTunes 11 updates it automatically to match any changes made to your library since the last sync. You can automatically sync a device with only one iTunes library at a time. Drag items to your device individually. With either syncing method, you can also fill any available space on your device with a random selection of songs by using Autofill. 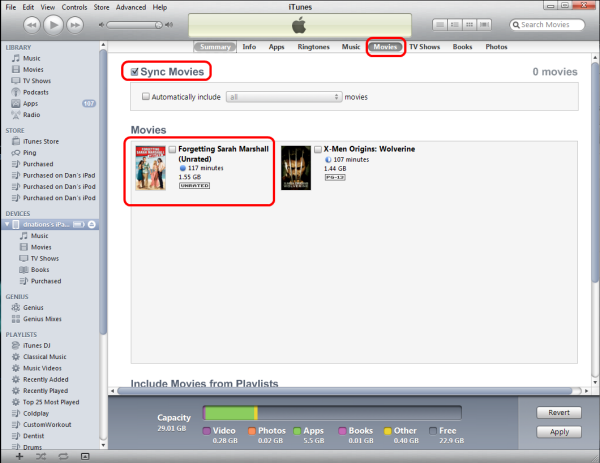 Learn How to Sync Local Contents to iTunes on PC/Mac and how to Sync Video, Music, Photo Files from iTunes to iPad. Step 1. Launch iTunes 11 from your PC or Mac. Step 2. Connect iPhone, iPhone 3G, iPhone 3GS, iPhone 4, iPhone 4S, iPhone 5, iPhone 5S/5C and iPhone 6 with your computer using the cable that came with your device. Step 3. In the upper right hand corner you will see your iPhone appear. Click the name of your device. Step 4. You will be taken to the summary screen. From here you can see a list of tabs along the top. Step 5. 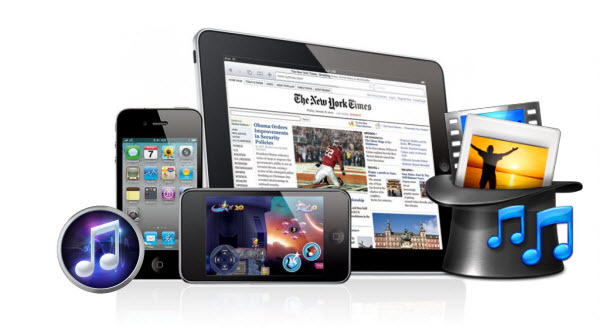 Click on the tab for the type of media you’d like to sync to your iPhone, iPhone 3G, iPhone 3GS, iPhone 4, iPhone 4S, iPhone 5, iPhone 5S/5C and iPhone 6. You can choose from music, movies, tv shows, podcasts, books, and photos. Step 6. Make sure the checkbox for the media type is checked and where applicable, select the media items you’d like to sync. Step 7.Click the Apply button in the lower right hand corner after you’re done selecting all your media. Step 8. Wait for iTunes to finish syncing your content before unplugging. Tip 1: When use manual syncing, you can sync items from more than one iTunes library to your iiPhone, iPhone 3G, iPhone 3GS, iPhone 4, iPhone 4S, iPhone 5, iPhone 5S/5C and iPhone 6. 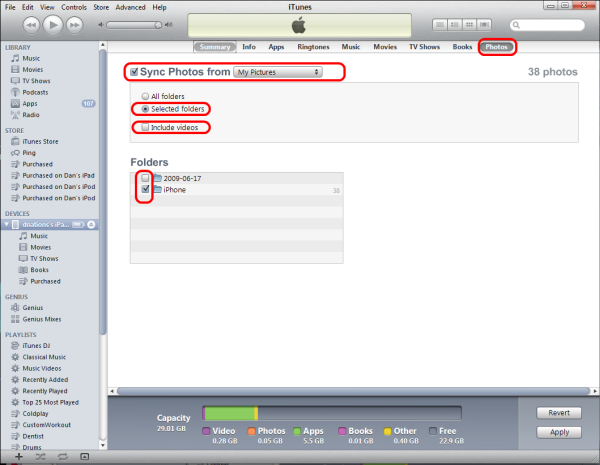 To use manual sync, just click the Summary button and select “Manually manage music and videos” in step 4. Tip 2: To remove content such as a movie, book, or podcast, simply uncheck it. For music, you can even choose only specific playlists or songs. To enrich your iTunes library, you can convert unsupported MKV, AVI, MPG to iTunes and even ip Blu-ray & DVDs to iTunes video for syncing to iPhone. Just get this ultimate video converting tool and convert the media files to iPhone compatible video formats and enjoy any video on iPhone anywhere and anytime to your wish! If you are a movie fan, you may have tons of DVD movies stored either on your computer or in DVD disc. Want to play your favorite DVD movies on iPhone on the go? All becomes easy with an intuitive DVD ripping software that can help you rip DVD to iPhone friendly video files fast. With an excellent Blu-ray & DVD ripping tool, you can get unsupported BD/DVD videos on iPhone for unlimited video playback. Apple finally released the fifth-generation tablet iPad Air alongside the iPad Mini 2 with Retian Display on October 22, 2013, just weeks after the sensational iPhone 5S and iPhone 5C launch event. This time iPad Air is slimmer and narrower than its brothers, while remaining the existing 9.7-inch screen size. As a result, this iPad Air has attracted increasing attention from many tablet lovers since they can therefore experience a great visual feast on iPad Air. With that in mind, it is tempting to get this glamorous gadget for watching DVD movies and videos on its HD retina display when you are on a long boring trip but it’s a pity that this tablet only supports MP4, H.264 files, worse still, you cannot run your disc directly on it, making you difficult to watch DVD movies on this cutting-edge product. Now that there are many people, especially Mac users who have an affinity to Apple products, curious about how to rip DVD movies to iPad Air on Mac, here a professional DVD to Air converter is recommended to you to exclude all your difficulty and anxiety. At first, everything will be easy if you get this excellent Mac DVD to iPad Air Converter to do you a favor. Applying this Mac DVD ripping tool, you can easily rip DVD movies to iPad Air friendly formats, including MP4, M4V and MOV at fast ripping speed while retaining high video quality on Mac OS X (including Mac OS X 10.9 Mavericks and OS X 10.8 Mountain Lion), enabling you to view movies on your iPad Air no matter you are on a boring flight or by the sea. What’s more, this Mac iPad Air DVD ripper for Mac is versed about circumventing copy protection, so that you can you can leave the interruptions behind and smoothly convert any newly published DVD movies to iPad Air without worrying about encryption. 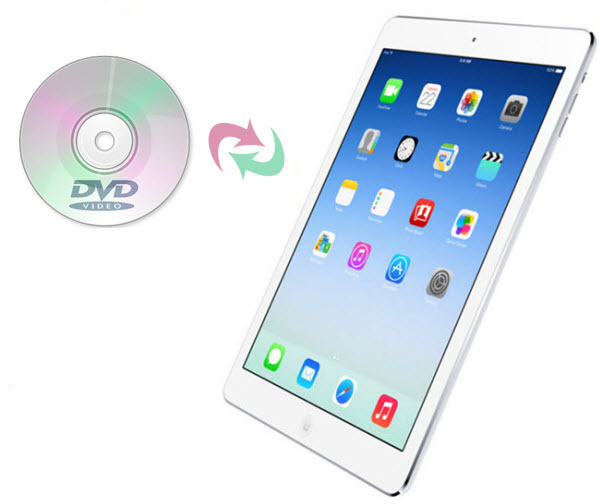 Below is the step-by-step guide for you to rip DVD Movies to iPad Air on Mac for Playback on the Tablet. 2. 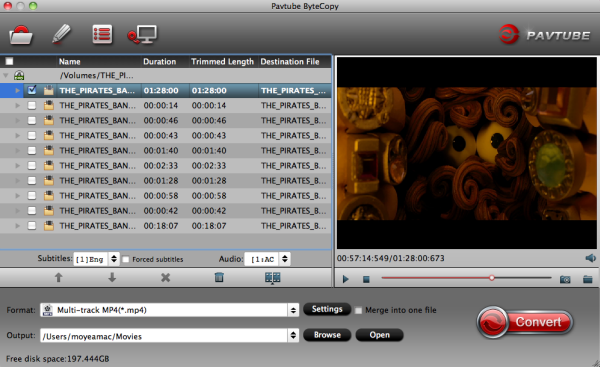 If you want to backup your DVD movies with keeping multiple audio tracks and subtitle streams on Mac, try to use Pavtube ByteCopy for Mac. 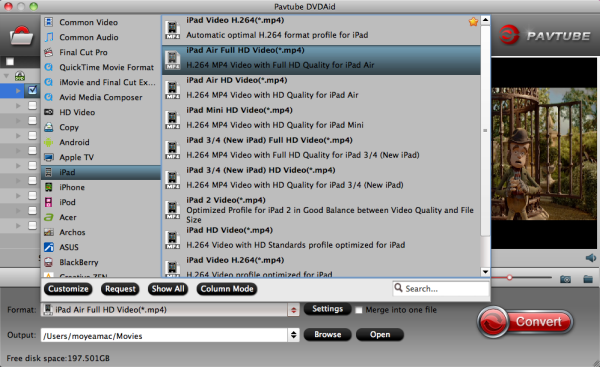 Open Pavtube DVDAid for Mac and load your source DVD movie. Step 2: Check forced subtitles for output. 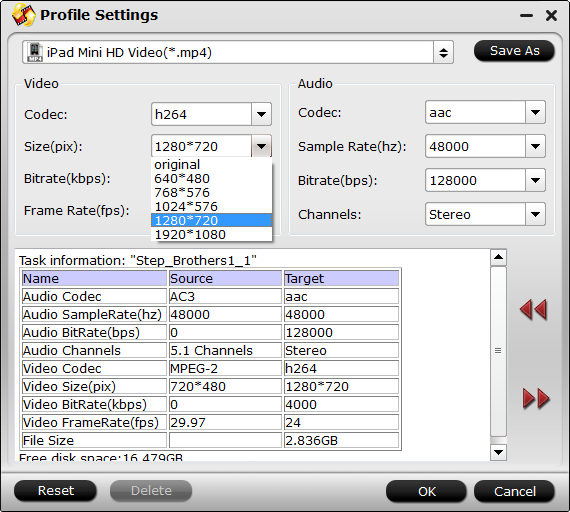 Because DVD always contains multiple subtitle and audio tracks, you can go to choose the desired subtitle and audio on the interface for output. Beside subtitles option, “Forced subtitle” is optional and uncheck by default. Go to check “Forced subtitles” for output. Take note that it will output forced subtitles only if it is checked. Step 3: Choose suitable profile. From the “Format” drop-down list, you are suggested to follow the path ” iPad > iPad Air Full HD Video(*.mp4)” for ripping DVD to iPad Air video. Step 4: Adjust profile presets (Optional). Step 5: Start ripping DVD to MP4 for iPad Air on Mac. Double check above steps and you could click the “Convert” button on program interface to start ripping DVD to MP4 for iPad Air with Mac OS X . After it finished, open output file destination, locate the created MP4 video and you could watch it on your iPad Air with embed subtitles. Pavtube DVDAid for Mac has powerful edit functions such as trim video for your needed length, crop video to get rid of annoying black edges, join multiple video clips into one, add text/image watermark and add subtitles. For example, if the original DVD movie has no subtitle or the subtitles you need, you can download it from website and then add it into the output videos for full enjoyment with this software. 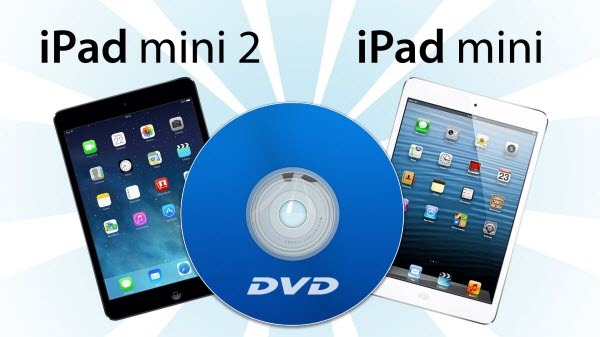 In addition, you can stream DVD to Apple TV, convert DVD to iPad Mini 2/iPad Mini and rip DVD for Playing on iPhone 6. The widely-anticipated iPad Mini 2 is finally surfaced at Apple’s release event in San Francisco. Boasting perfect hardware upgrades, the renewed iPad Mini 2 is packed with 7.9-inch Retina display with 2048*1536 resolution (4 times the resolution of the previous-generation iPad Mini), Apple’s newest 64-bit A7 processor (up to 4x the CPU speed and 8x graphics performance), M7 motion coprocessor and maximum 128GB capacity. I believe you can’t wait to get this high-profile iPad Mini with retina display in hand for personal experience. All of the above is designed for an unmatchable HD movie enjoyment. You can also play DVD on iPad Mini 2 as well as iPad Mini even it has no DVD-ROM yet. How come? Here ripping DVD to iPad Mini 2/iPad Mini would be an easy task while offering an absolutely viewing feast. It is obvious that we cannot make a disc rotate on a tablet without a DVD drive (and player hardware). So it is a pity to say in other words that nobody can play DVD disc on iPad Mini 2 and iPad Mini directly. Here Pavtube DVDAid comes as a helper to address the issue by free ripping DVDs to iPad Mini 2/iPad Mini playable videos. With it, you can select desired subtitles and audio tracks for specific chapters; decide movie resolution, aspect ratio, bitrate and more. 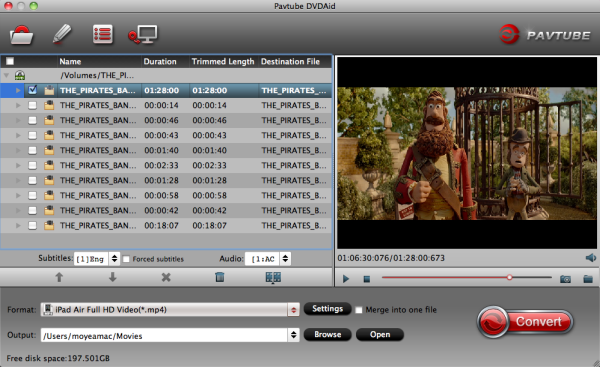 Besides, the built-in video editor lets you personalize your DVD by trimming, cropping, adding watermarks, adjusting video effects, etc. If you’re using Mac, please turn to Pavtube DVDAid for Mac which lets you convert DVD on Mac OS X (Mountain Lion and Mavericks included). Launch Pavtube DVD ripping program, but before doing this, make sure there are no other decrypter tool running at the same time and make sure the Internet connection is fine. Insert your DVD disc into DVD drive. Then click the DVD disc icon to load DVD movie. If your DVD is saved as files on your computer, click “DVD Folder” and browse to the folder that contains DVD files. Click “Format” drop-down list and choose “iPad > iPad Mini HD Video(*.mp4)” as the compatible MP4 preset with best video quality. If you want to trim, crop, editaudio/subtitles or adjust aspect ratio, click the pencil-like icon and switch to “Crop” tab, then choose Advanced mode. Lock the “Keep Ratio” and you can free change aspect ratio. Usually it will be set to “Original”; it would be ok to playback with 16:9 if you change it to 16:9. To avoid black bars when play DVD videos in full screen, you may click “Settings” button to set a video size of 16:9 in the “Settings” panel, here you can set size to1280*720. After the settings, click the “Convert” button to start converting DVD to iPad Mini 2 and iPad Mini with desired 16:9 size (aspect ratio). After the conversion, click “Open output folder” in the conversion window, or “Open” in main interface to quick locate the converted video, then you can transfer them to iPad Mini 2/iPad Mini via iTunes. 2) Connect iPad Mini 2/iPad mini to Mac/PC. 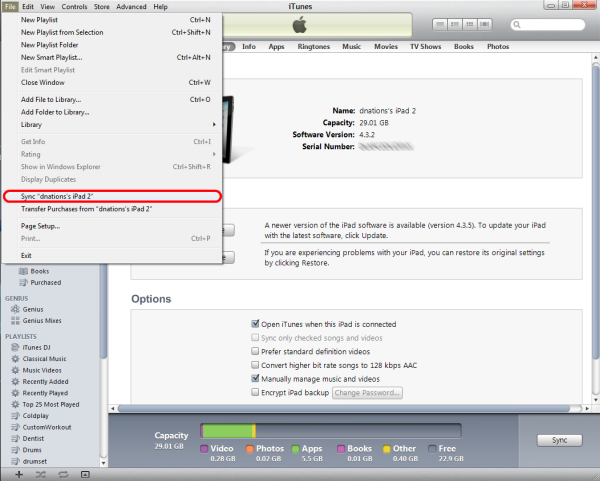 3) Choose “File –> Add File to Library…” to load local contents to iTunes. Prette simple. Now, you can get your DVD movies on iPad Mini 2 and iPad Mini for unrestricted Playback with 16:9 display. What’s more, it is not a big deal to rip Blu-ray, DVD ISO files to iPad Mini 2 on Mac, play Blu-ray movies via Apple TV 3 and get 4K Video onto iPhone 6 Plus. iTunes helps you add digital audio and video files on your computer directly to your iTunes library. Perhaps you may have many video, music, photo on your PC/Mac computer, and adding media files to iTunes makes it possible for you to sync them to an iOS device such as your iPhone, iPad or iPod Touch. 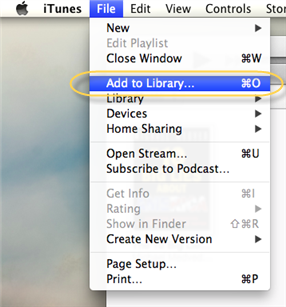 Read easy instructions as below and learn how add local contents to your iTunes library on PC/Mac. Download the latest iTunes online, install it on your PC/Mac and run it. 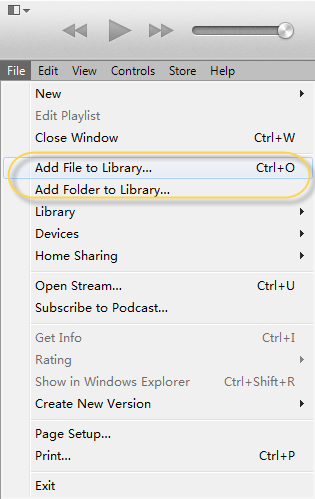 Browse through your computer to locate the desired contents or folder and then click “Open.” Then you media files will automatically download to the iTunes library. iTunes adds entries to your iTunes library for the selected files and copies the files to your iTunes Music folder (if you selected that option in the Advanced pane of iTunes preferences). 1. Music videos, movies and TV shows that are purchased through the iTunes store are perfectly legal to share and sync with your personal iOS devices. To learn more about purchasing and downloading content from the iTunes Store, see How to browse and buy content from the iTunes Store. 2. iTunes helps you add digital audio and video files on your computer directly to your iTunes library. You can add audio files that are in AAC, MP3, WAV, AIFF, Apple Lossless, or Audible.com (.aa) format. If you have unprotected WMA content, iTunes for Windows can convert these files to one of these formats. You can also add video content in QuickTime or MPEG-4 format to iTunes, such as those ending in MOV, M4V and MP4 file extensions. So it is easy to get these videos syncing to iTunes and then you can transfer all kinds of videos to your iPhone, iPad, iPod, or stream to Apple TV etc for playback. M4V is a file container format used by Apple’s iTunes application. It is a video format developed by Apple and is very similar to MP4 format. 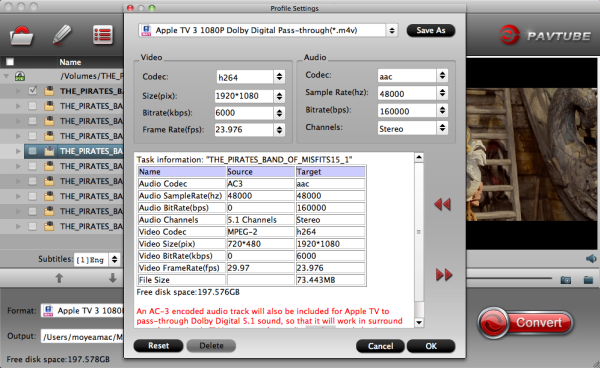 Apple uses M4V files to encode TV episodes, movies, and music videos in the iTunes Store. M4V can also be used as an online video format. If you got a plenty of DVDs and want to enjoy them on the Apple device such as iPad, iPhone and iPod, you are in the right place. 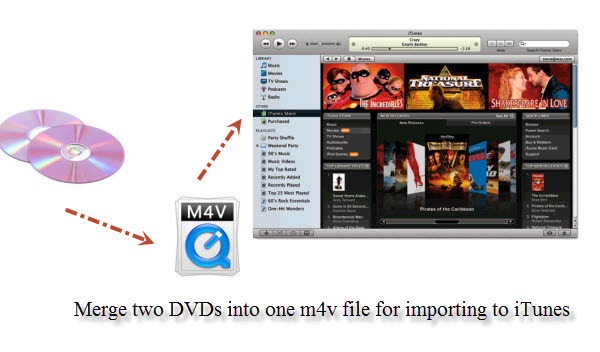 This article will introduce you the simplest way to merge two DVDs and convert them to M4V for iTunes. At first, you need to copy your two DVDs into DVD VOB backups, then a professional DVD VOB converting tool is essential to do conversion job. Here we recommend Pavtube Video Converter Ultimate as your assistant to make the conversion from DVD VOB into M4V format with super high speed and keep the output files in good quality simultaneously. The software is quite efficient and the process is simple and quick. What’s more, you can also merge two DVD VOB movie to one M4V video with this powerful DVD VOB to M4V Converter. The mac version is Pavtube iMedia Converter for Mac. 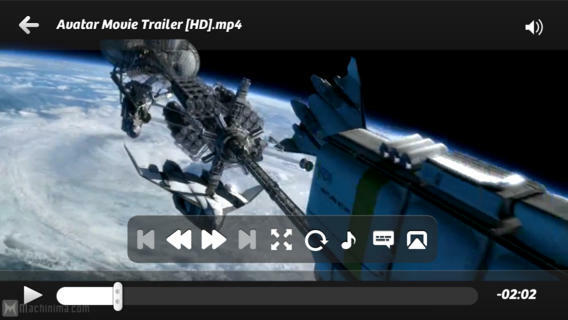 Download Pavtube Video Converter Ultimate, install and run, then click the “Add Video” button to load the DVD VOB files. 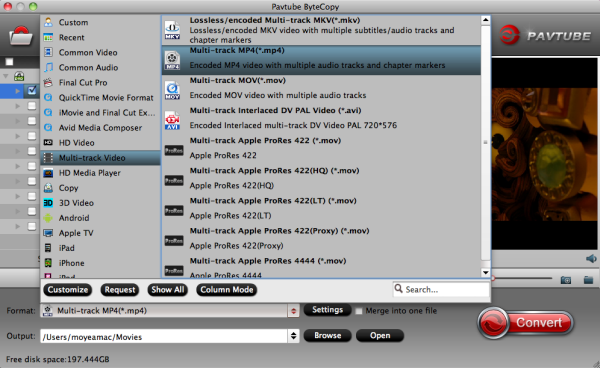 Tips: If you want to merge two DVD VOB videos into one, check “Merge into one file” box. Now you need to go to the “Format” drop-down list, choose “M4V – MPEG-4 Video(*.m4v)” from “Common Video” option as the output format. If you want to import the output videos to Apple devices like iPad (iPad Air, iPad Mini 2), iPod, iPhone(iPhone 5S, iPhone 5, iPhone 5C) and more for convenient playback, you can choose the corresponding device as the output format. The output files could be automatically imported to iTunes. Tip: For your convenience, the app has already optimized the video settings for you. And for better quality and higher resolution, you may click on “Settings” and set higher bitrate. Some simple edit can be done to the videos before conversion. You can trim video for your needed length, crop video to get rid of annoying black edges, add text/image/video watermark or add subtitles, etc. If you need it, click “Edit” icon to simply edit the videos. Click the “Convert” button begin the DVD VOB to M4V for iTunes conversion with stunning speed and let this smart DVD VOB to M4V Video Converter do the rest for you! Bingo! That’s it! 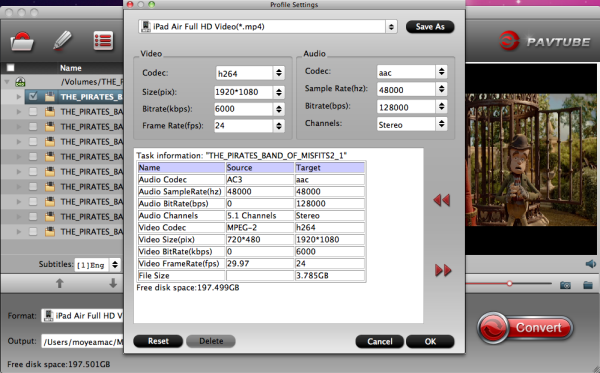 This program can also convert DVD VOB to other popular video format like MP4, AVI, MOV in same way. After the DVD VOB to M4V conversion, the Xvid AAC M4V video files are ready for you, and the only thing you should do is transfer the file to iTunes and then sync to your Apple device like iPhone or iPad. Now you can enjoy your wonderful merged DVD videos on iPhone, iPad, iPod, Apple TV, iTunes etc freely. See Make iTunes for Windows Launch and Run Faster with 10 Tips and you can also rip Blu-ray or convert VIDEO_TS to iTunes for streaming. How do I copy and play DVDs through Apple TV on a 16:9 screen? Apple TV is a digital media receiver created by Apple Inc., which is designed to access digital content from the iOS devices, or any Mac OS X or Windows-based computer running to a high-definition widescreen television. It is a best solution for media fans to watch Online Streaming videos from Netflix, YouTube, MobileMe, and Flickr. Yes, Apple TV does give you HD Movie and HD TV Show entertainment as high as 1280 x 720 (maximum) 720p resolution. Then what if to make your DVD movies playable on your Apple TV? Do not hurry. Before transfer DVD movie onto Apple TV, you should understand Apple TV will not read DVD disc directly which means you need to convert DVD to MP4 which is preferred by Apple TV beforehand. Becides that, when copying or converting DVD movie to video for ATV to airplay on 16:9 PC or wide screen TV, you may get black boarders around the movie image or serious squeezed picture. I suppose you want a perfect fit on 16:9 screen or movie at original aspect ratio? 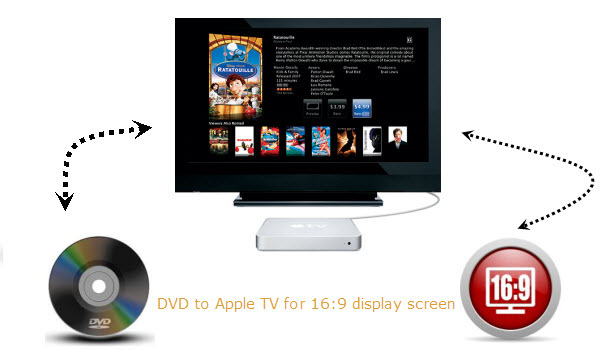 Read on to discover the best solution of crop and sync DVD movies to Apple TV for wathing on 16:9 display screen. Pavtube DVDAid for Mac is designed for Mac users to help through this issue. It is the top DVD ripper to convert DVD disc, DVD VIDEO_TS folder and DVD IFO/ISO file to a format playable by Apple TV. I’ve found the quality to be excellent, and see no difference when compared to playing the discs themselves. The sound can be kept with the original Dolby Digital 5.1 surround sound. What’s more, it can crop DVD at custom size (pix) / aspect ratio which means you can stretch your DVD video to this DVD ripping tool to correct the aspect ratio. A trial version of Pavtube Pavtube DVDAid for Mac is free of access. Run Pavtube DVDAid for Mac (Windows version is Pavtube DVDAid), click “Load file(s)” and load videos from DVD. Step 2. Set an output format. Clicking the “Format” menu, to export a Apple TV 3 1080p video with ac3 5.1 pass-through for AV receiver decoding, you are suggested to choose “Apple TV >Apple TV 3 1080P Dolby Digital Pass-through(*.m4v)”. If you like, modify profile settings such as video size, bitrate, frame rate, etc to get optimized video and audio playback. Step 3. Adjust aspect ratio for playback on 16*9 display. Now crop out the black bars on the top and below to get rid of the black edges. Click “Edit” to enter the Video Editor. Here you see the Original Preview and Output Preview area. The original video is put in green frame. Drag the dotted frame to crop out black bars. There are “Simple Mode” and “Advanced Mode” under Crop feature. 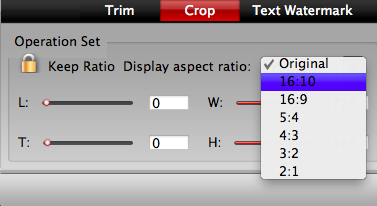 In “Simple Mode”, you can customize values in the box of “Left”, “Top” and “Crop Size” to make your crop decision. Under “Advanced Mode”, there are four value fields: Left, Top, Width and Height. You can either type in specific values to the fields or adjust sliders to crop the source file. To use the original Cinema Scope aspect ratio, make sure the “Display aspect ratio” and the “Size (pix)” in “Settings” option are all set as “Original”. Tip: To play DVD movies without any black edges, set the Video “Size (pix)” in “Settings” section as the same ratio as display aspect ratio. For example, if you want to export a file with “16:9″ aspect ratio, firstly, you choose “16:9″ in “Display aspect ratio”, and then go to “Settings” section to adjust the Video “Size(pix)” as 1280×720 or 1920×1080. After finished, click “OK” to confirm. Step 4. Start copying cropped DVD to Apple TV. 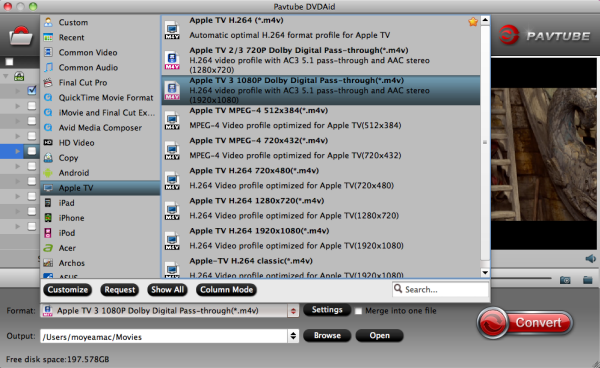 Return back to DVDAid for Mac main interface, and hit the “Convert” button to start encoding DVD to m4v format. Once it finishes, open output folder, locate the created m4v file and you can transfer to your iTunes for Apple TV for watching DVD movies on 16*9 display with ease. There you have it! In order to view your converted file on apple TV you have to transfer the converted file to iTunes and stream to your Apple TV. 1. Upon a successful completion of the conversion process, click Open Folder so as to access the converted video files. 2. Launch iTunes and click files, then select add files to library option to add the converted clips to your iTunes library. 3. After that, drag the converted file from iTunes library to Apple TV that is available in the device source list. Then you will be able to watch your favorite DVD movie on Apple TV with a lot of ease. Tip. The other easiest way to play DVD on your Apple TV you can use a third party media player, which are user friendly. Such third party media player includes Beamer, ATV flash among others. To handle the tedious conversion of video for iPad, just download from the App Store video player that can work with a variety of formats. 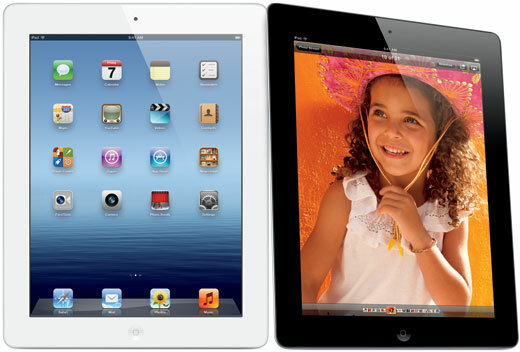 Here we are offering 5 best video playes for all iPad Models. Support formats: 3gp, asf, avi, divx, dv, dat, flv, gxf, m2p, m2ts, m2v, m4v, mkv, moov, mov, mp4, mpeg, mpeg1, mpeg2, mpeg4, mpg, mpv, mt2s, mts, mxf, ogm, ogv, ps, qt, rm, rmvb, ts, vob, webm, wm, wmv, etc. PlayerXtreme HD is a powerful video player which is able to play almost any video format and it can play HD 1080p videos without any quality loss. It supports streaming video & audio files over SMB, UPNP, and WIFI as well as downloading files to the APP over the local network. The app support .srt subtitles and you can control its font size, track, languages (almost all languages). PlayerXtreme HD can detect media shares. For example, if you run Plex Media Server on any computer then PlayerXtreme HD will see its UPNP share and have access to your entire library. This makes it really easy to watch on the fly without the need to wait for a transfer to complete. Navigating the app also works wonderfully. Support formats: 3ga, 3gp, aac, amr, ape, asf, asx, avi, cue, dat, divx, dv, f4v, flac, flv, gsm, gxf, hlv, iso, m1v, m2p, m2t, m2ts, m2v, m3u, m4v, m4r, m4a, mka, mkv, mod, moov, mov, mp1, mp2, mp3, mp4, mpa, mpe, mpeg, mpeg1, mpeg2, mpeg4, mpg, mpv, mt2s, mts, mxf, oga, ogg, ogm, ogv, ps, qt, ram, rm, rmvb, tp, ts, vob, webm, wm, wma, wav, wmv, wtv, etc. 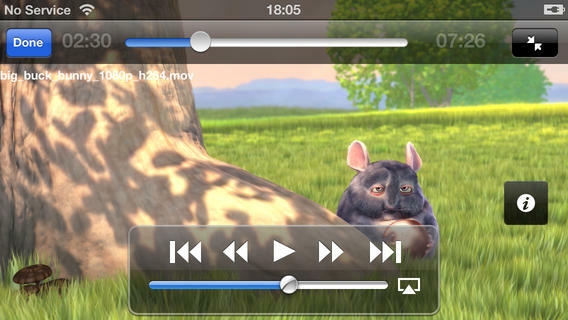 GoodPlayer is an iOS media player that can handle a wide variety of video formats, as good as PlayerXtreme. It allows users load videos onto an iPhone without having to convert them to MP4. It supports srt, smi, “idx+sub”, mkv embedded subtitle in multi languages. Better than PlayerXtreme HD, it supports HTTP, FTP, RTSP, MMS, SMB, MMSH, MMST, RTP, HTTPS, SFTP and UDP streaming playback. Notice: no AC-3/DTS/E-AC-3/TrueHD audio support! 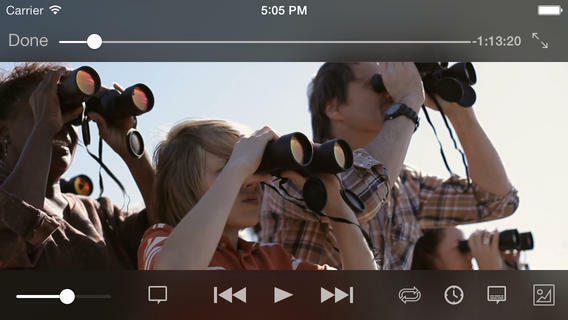 OPlayer is a fairly good iOS video player app playing SD videos and HD movies smoothly with no converting. As one of the best free video players is used to stream video and audio files from your computer to your iOS devices (iPhone, iPod touch, iPad running iOS 4.3 or later) by using iTunes with USB Sync, or over HTTP, RTSP, MMS, FTP and SAMBA shares. It has four versions – a free lite-version, the paid version for the iPhone and a separate and more expensive OPlayer HD for iPad. By the way, the free version is indeed less functional. Notice: no AC-3 audio support. Along with the popular VLC media player for desktop, VLC for iOS also completely free and open source. It can play all your movies and shows in most formats directly without conversion and allow users to sync video files from Dropbox, iTunes, and embedded upload web servers (including UPnP media server). However, VLC for iOS may sometimes crashes unexpected and shows inferior performances compared to its peers. Support formats: MP4, MOV, M4V, XVID, AVI, WMV, RMVB, ASF, H264, MKV, etc. AVPlayer is one of the most popular video player for iOS that can play almost any computer video file format such as AVI, Xvid, WMV and much more clearly and effortlessly. No converting hassles. It can play regular videos and High quality video clips (in 720P, 1080P) well and support Dolby Digital (AC3), Dolby Digital Plus (EAC3). You will get a great performance on watching movies. What you need to do is just copy the movie files via USB and just drag and drop into the AVPlayer’s Media Explorer, then enjoy them on your iOS devices. 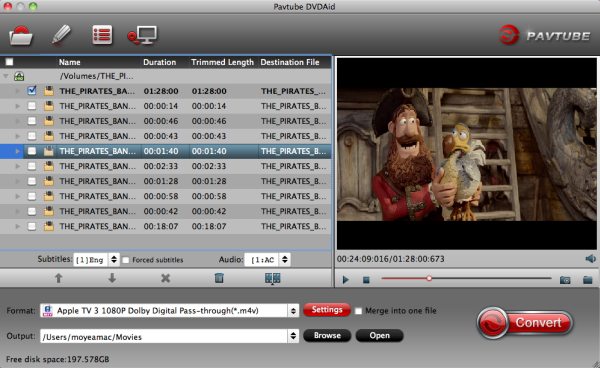 The AVPlayer can also support external subtitle files such as SMI and SRT. The apps mentioned above are all able to play various videos on iPad models without conversion. But sometimes you may get image lag and frame dropped when watching some HD videos (they are usually have a large file size). The fluency of playback depends on video decodes’ capability. If you encounter such a situation, or find some formats are unsupported by these built-in media players, you should turn to Pavtube Video Converter Ultimate for help which is an all-in-one converting tool to convert all HD video to MP4 format for iPad models and reduce the file size without quality loss. 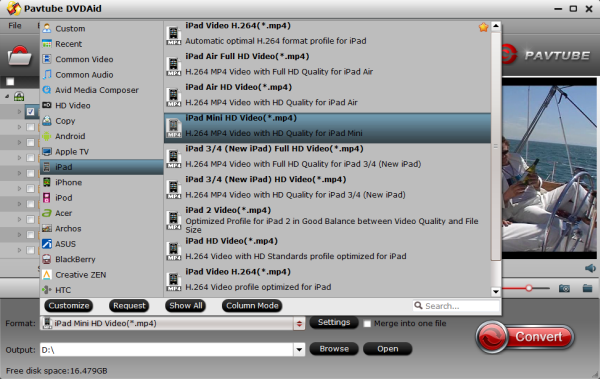 Then transfer converted videos to iTunes and then sync to your iPad and enjoy them anytime and anywhere as you like. Blu-ray provides us gorgeous HD video and high quality audio effects, which makes it more and more popular around the world. There is nothing eye catching as enjoying a high definition Blu-ray disc on Apple TV 3 with family and friends in the comfort of your home. The numerous features that come with Apple TV 3 are enough attraction for individuals to play their favourite Blu-ray movies on Apple TV 3. But how to get this task done? * Pavtube BDMagic for Mac – an ideal software which will help to rip and convert Blu-ray to Apple TV friendly MP4 format with fast speed and high video quality. Moreover, you can choose the desired subtitle for output and select forced subtitles for some unknown languages. Note: Before conversion, make sure your Blu-ray Disc drive is well connected with computer, and put a source Blu-ray Disc to the BD drive. Mac is lacking of Blu-ray support and you need to add an external BD drive that is compatible with Mac. 1. 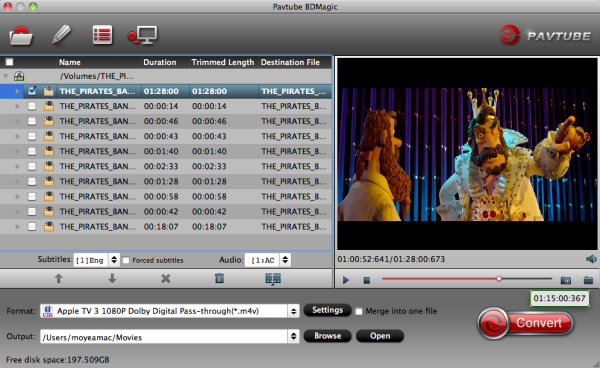 Have Pavtube BDMagic for Mac installed on your computer, run it and Press “Load Disc” icon to import Blu-ray movie. The software requires network connection to decrypt Blu-ray so keep your network wired. 2. Select main movie from file list, and set subtitles and audio language for export. 3. Set iTunes/Apple TV 3 compatible format from the drop-down list of “Format”. 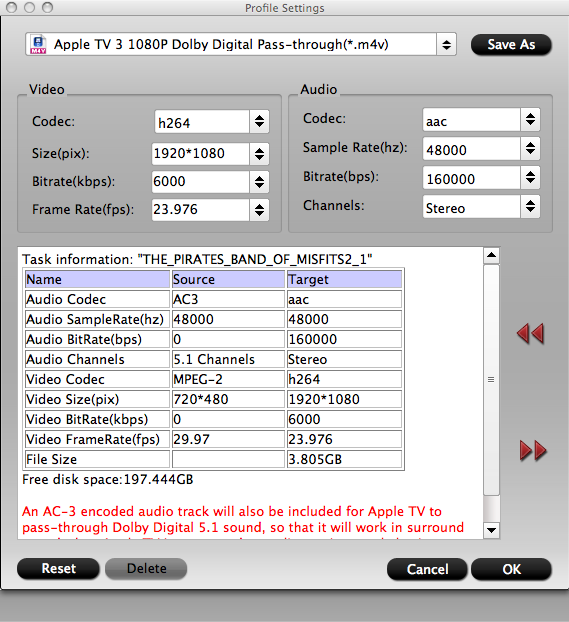 To export a Apple TV 3 1080p video with ac3 5.1 pass-through for AV receiver decoding, “Apple TV 3 Dolby Digital Pass-through (*.m4v)” preset is highly recommended. Tip: You can click “settings” to change the setting from the new default HD profile 4000 to 5000~8000 bitrate. 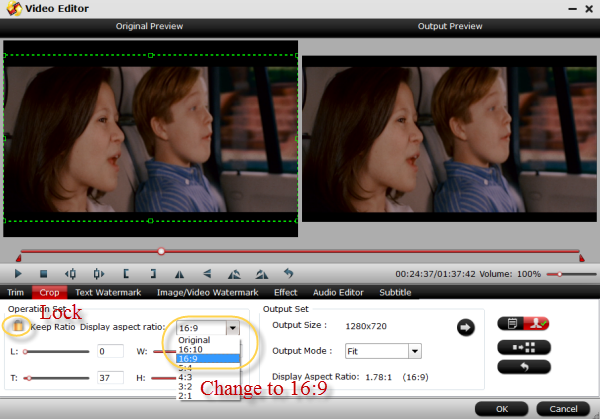 If your source video is in 1080p such as Blu-ray, you can set your video size in 1920*1080 in H.264 codec. (Note: bitrate higher results in big file size, and lower visible quality loss). 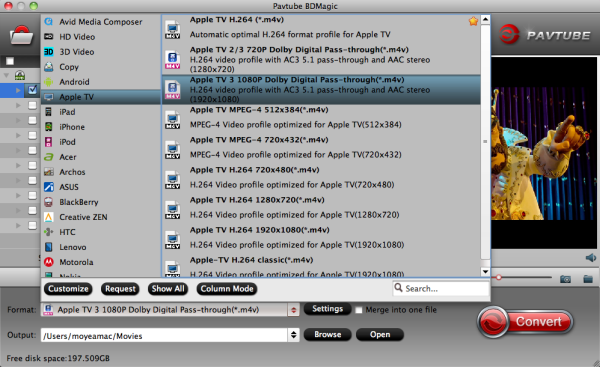 4.Press “Convert” to get BDMagic start compressing Blu-ray to Apple TV 3 friendly videos. When conversion completes, press “Open” to find compressed .m4v movie and add it to iTunes store by following “File>> Add file to Library…”, and then sync ripped Blu-ray movie to iTunes for your Apple TV 3. 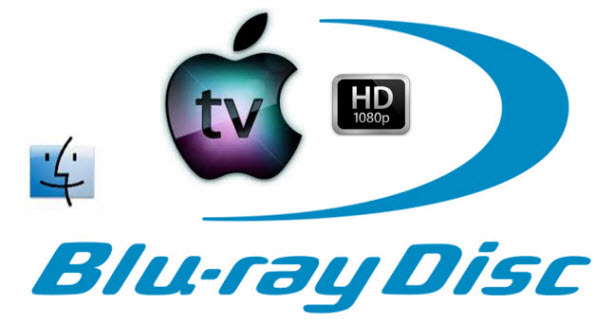 Now you can enjoy the Blu-ray movie with iTunes freely and stream the Blu-ray movie to Apple TV 3. 1. How to play converted video on widescreen television from Mac computers via Apple TV 3? 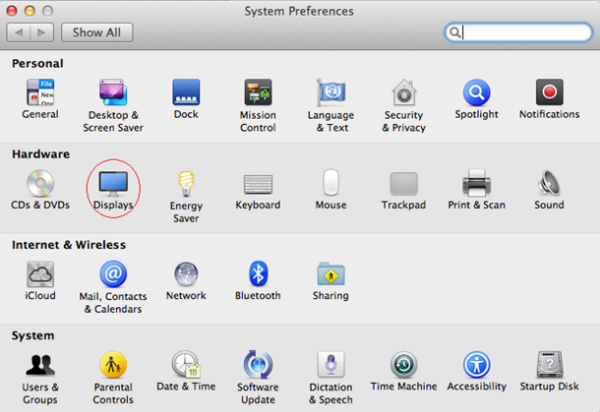 Open the ‘System Preferences’ of your Mac computer, and click on the ‘Displays’. Then you can open the Airplay. 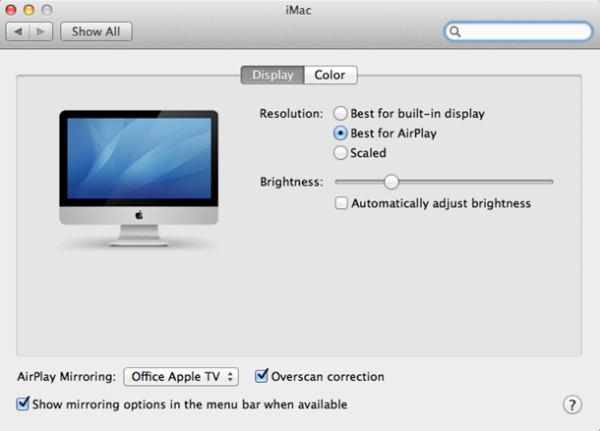 Change the ‘Airplay Mirroring’ from ‘Off’ to ‘Office Apple TV’, and it will connect automatically. A couple of seconds later, your Mac and widescreen TV will be connected. Note: There is an option at the bottom of the window, you can choose to show mirroring options in the menu bar when available. 2. Can the Apple TV 3 support AC3 5.1 audio? The answer is Possible. According to my experience, the 2012 new Apple TV is not able to decode 5.1 surround sound to stereo by itself, if you want to play AC3 5.1 (Dolby Digital surround) audio you will need an AV receiver. 3. Does the Blu-ray rip play silence or gray screen in iTunes? No. iTunes does not play video contents with AC3 audio, but the Apple TV pass-through presets create video with both AC3 and AAC, so iTunes will find and play the AAC track instead. 4. Does the Apple TV 3 Dolby Digital Pass-through preset work with iPad? Yes. The preset also work with new iPad. It plays stereo by default. If you’d like to play surround sound effect, enable Airplay to have iPad stream the video to Apple TV 3, which pass-through AC3 audio to receiver. I hope you enjoyed my guide and enjoy your synced up Apple TV 3! Besides, streaming DVD to Apple TV, putting DVD ISO/IFO to iPhone 5S/5C/5 and playing YouTube Video on iPad/iPhone/iPod are so easy for you. Nowadays, with more and more 3D movies have joined our daily lives for a couple of years, and 3D Blu-ray is becoming the most sought-after thing. 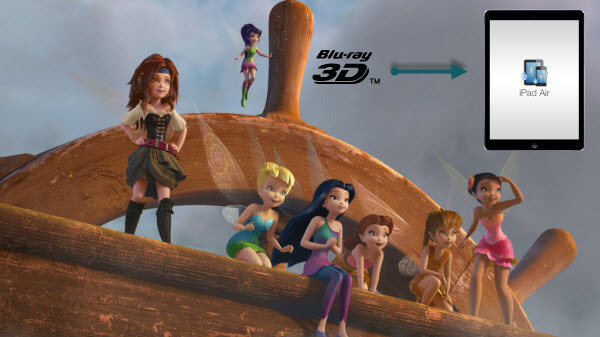 However, watching 3D Blu-ray movie requires high, with low guarantee in the use life of Blu-ray disc as carelessness happens occasionally and unexpectedly by children and adults, so it is a nice choice to backup your 3D Blu-ray collections onto your iPad Air for playing anywhere and anytime. In addition, if you want to learn second language by enjoying your 3D Blu-ray movies, is there any way to rip your 3D Blu-ray with keeping more than one language and audio tracks so that you could freely exchange languages during playback? Yes, with Pavtube ByteCopy for Mac, a professional yet easy-to-use multi-track product, all 3D Blu-ray can be easily transcoded to MP4 for iPad Air with multiple audio and subtitle streams and you can easily switch audio and subtitle tracks with freely chapter switching. After successful installation of free ByteCopy, launch it, click “Add Disc” icon to add source 3D Blu-ray Disc from disc driver. Or load from 3D Blu-ray folder or IFO/ISO file. Click the Format button, and you would see lots of profiles listed. To keep multiple audio and subtitle tracks from 3D Blu-ray Disc, you are recommended to choose “Multi-track Video” > “Multi-track MP4 (*.mp4)” for output. P.S. If you want to lossless backup Blu-ray/3D Blu-ray to MKV with multiple audio tracks and subtitles preserved for freely swithing language while watching movies, choose “Lossless/encoded Multi-track MKV (*.mkv)”. Tip: If you want to remove unwanted audio or subtitle stream from original BD/3D Blu-ray for output, just unselect the box in front of it. Click the Convert button to start converting 3D Blu-ray to MP4 for iPad Air with original subtitles, audios and chapters you choose. Find generated mp4 files by clicking “Open” icon, then transfer to iTunes and sync your iPad. 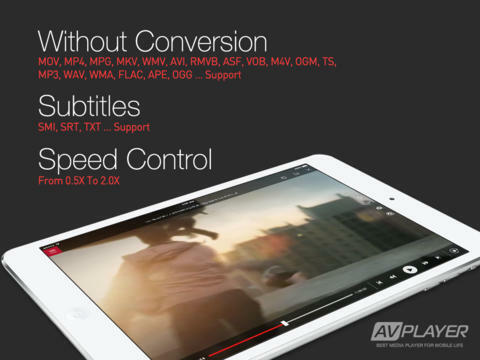 Now you can play 3D Blu-ray Disc with multiple audio and subtitle streams on your iPad Air. And you can choose your desired audio stream. If you don’t need multi-track format and just want to rip 3D Blu-ray to MP4 for iPad Air enjoying on Mac, turn to the guide: ripping Blu-rays for Playing on All iPad Models.